This is the final article I’m going to write about fire pits. If you followed us during this time, I think you already know a lot of pros and cons about fire pit construction in your property. First of all, you need to know if you can build a fire pit in your home. If you still don’t know and want to find out, check out my article titled: Is a Fire Pit Good for Your Backyard? 6 Reasons to Help You Find Out! 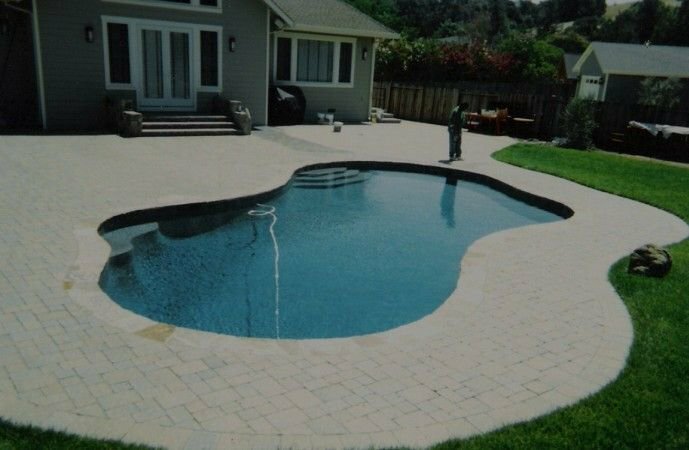 If you want to install pavers, or need brick or stone work masons in Northern California give us a call. Remember that we’re also available for your flagstone, retaining walls, travertine, and masonry needs. Overall, you have to know that outdoor fire pits can boost your property value, make it look much better, but they also can be a lot of fun for friends and family during winter. 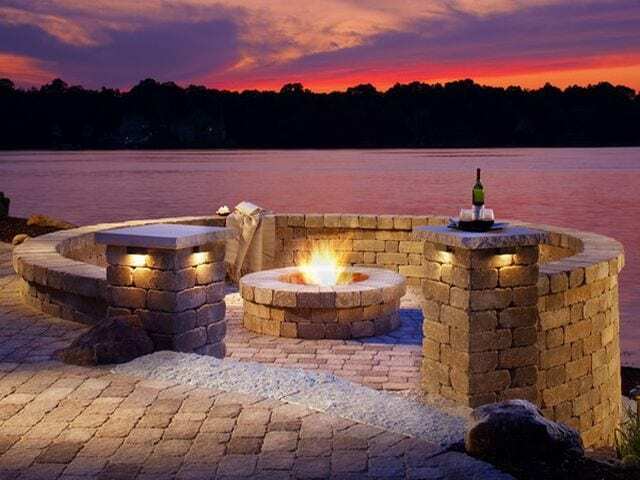 I’m going to list a few fire pit accessories that you probably don’t want to miss to make your investment even more worthy. A log rack is not actually necessary ’cause you can still keep your logs on the floor in a corner of your home. However, if you’re looking for something that can help you keep your patio more organized and better looking, a log rack can be a very good idea, especially if you have kids. The log grabber is more necessary than a log rack because you can rearrange the logs inside your fire pit even if the logs are burning. Obviously, a log grabber can also help you to keep your wood burning for more time by just adding and rearranging more wood. This is one of the best fire pit accessories. I think that one of the best fire pit accessories that you can buy if you have kids, or want to have a very nice time with your family and friends, is a set of marshmallow and hot dog forks. I think this is a great addition for your firepit. If you love popcorn you can also go for a fire pit pop corn popper. You can make your own pop corn in your fire pit and share it with your loved ones. I think this kit is more of a necessity for your fire pit than any other fire pit accessories in this list. The replacement poker could easily replace the log grabber and help you rearrange wood. The grill is perfect if you’re feeling like cooking, and the spark screen is perfect for safety. The tricky part is to have a fire pit built specifically for these measures, but we can build it! Finally, the colorant packets are definitely not a necessity to have fun with your fire pit, but they look like fun. You throw a couple of pouches in your fire pit and you’re going to watch the fire “magically” change colors for a long, long time (just don’t cook over this fire anymore). As you can see, having a fire pit in Northern California (or anywhere else) can be fun too. I think a fire pit can be used for a lot of fun activities in family. However, if you’re more of a romantic, I think you’re going to love our blog content for next week, because I’m going to start talking about fire places, the options you have, the pros and cons and more information of them! 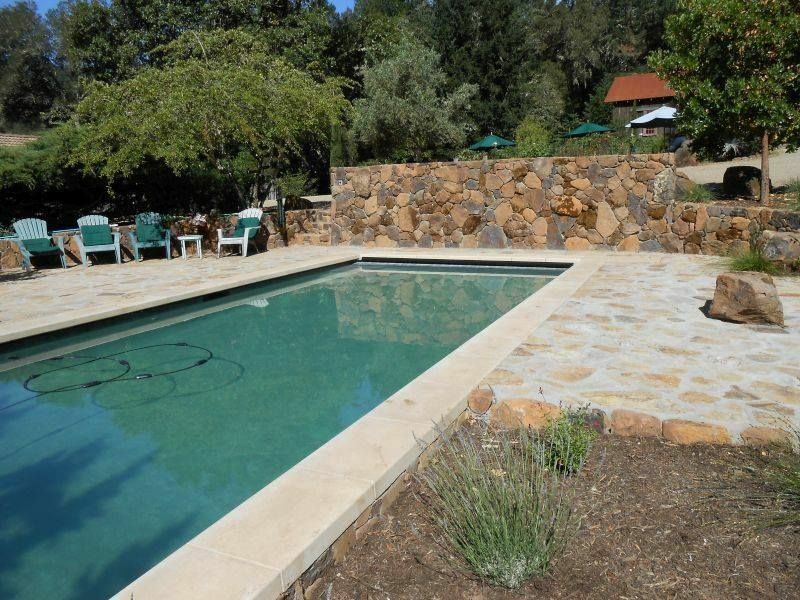 If you’re looking forward to have a fire pit in your home, you can always give us a call if you’re in Napa Valley, or Northern California. Remember to check out our areas of service.